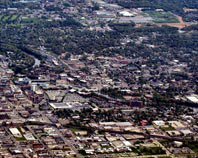 As the site of Notre Dame, South Bend, Indiana has long been renowned as a center of education. The city has leveraged this reputation into continued success, attracting leading scholars and students from across the country and all over the globe. These scholars and students in turn provide the business and technical expertise to boost Indiana’s economy, so that the Crossroads of American can grow wealthier and more advanced each year. ExpeditedFreight.com bolsters this economic engine with express trucking services. By supplying automotive manufacturers and other advanced industries in the area, we help South Bend make the most of all the opportunities for growth it creates. To understand why express freight is so important to South Bend, it’s important to consider the economic trends going on in the area. Indiana has become a major center for automotive production, with nearly 100,000 of its citizens working in related manufacturing jobs. 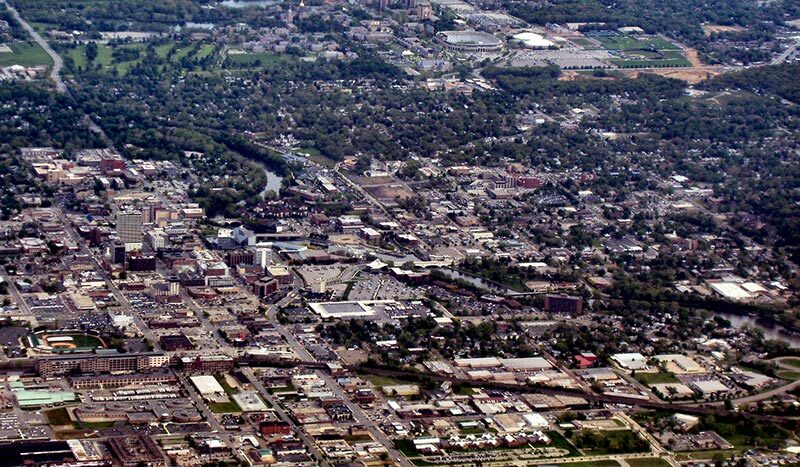 Notre Dame and other educational institutions around South Bend have contributed to this economic success by educating the entrepreneurs and technical experts necessary to build a successful manufacturing center. But experts and entrepreneurs alone aren’t enough for a thriving automotive industry. The state also needs to bring in automotive supplies, which are highly delicate and must often be ordered form distant parts of the country. If these supplies don’t arrive, all the education in the world won’t make a difference. ExpeditedFreight.com offers the logistics services necessary to bring in automotive parts and all other essential supplies. Operating in South Bend, La Porte, Warsaw, Plymouth, Elkhart, and Mishawaka, we can deliver even the most delicate items swiftly and safely, no matter where we’re shipping from. In this way, we keep the economy of the South Bend area and all of Indiana humming along. Rather than just taking the shortest routes, we carefully weigh different possible paths from each starting point to each destination. We then select the best one based on traffic patterns, predicted weather, and a host of other factors that could derail a delivery or damage our inventory. This lets us get to South Bend quickly and reliably, all while transporting even the most delicate items without issue. Besides planning, ExpeditedFreight.com benefits from access to a massive expedited delivery network that extends across the United States and Canada. We have vehicles and coverage in every metropolis, letting us load your items and head for South Bend in as little as two hours. This way, no matter how little notice you give us, we can get your parts on the road. Finally, ExpeditedFreight.com maintains a team of skilled drivers, each of whom has proven their commitment to working safely, responsibly, and efficiently. On longer deliveries, we send these drivers out in teams of two, so that if one has to rest, the other keeps driving. This lets us keep our vehicles on the road day and night, all without sacrificing safety. For more information on expedited freight solutions in South Bend and across the country, contact ExpeditedFreight.com today at (260) 440-3200.